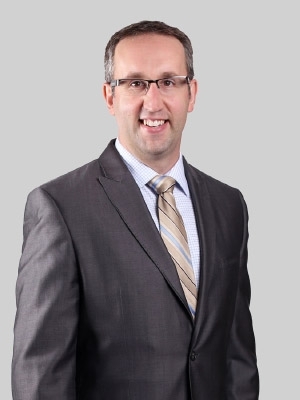 Seth focuses his practice on a wide range of commercial litigation matters, including business disputes, breach of contract matters, high-end banking litigation, fraud claims and all aspects within the financial services industry. Seth also has extensive experience defending insurance companies and their policyholders in a variety of matters, including claims of bad faith, professional malpractice, automobile negligence, products liability and insurance coverage. Obtained the complete dismissal from federal court of five separate employment discrimination claims against a major telecommunications company. Obtained a full defense verdict for a national bank in a multi-million dollar action for breach of fiduciary duty and breach of trust. Obtained dismissal of a $7 million defamation lawsuit brought in federal court and successfully defended the subsequent appeal in the 11th Circuit Court of Appeals. Obtained dismissal of a mortgage fraud lawsuit brought in federal court and successfully defended the subsequent appeal in the 11th Circuit Court of Appeals. Successfully defended and assisted in negotiating a favorable settlement on behalf of a national banking association in a $65 million lawsuit brought by an equity receiver. Obtained a complete dismissal of the Florida Department of Health’s disciplinary action against a periodontist for alleged advertising violations. Obtained a complete dismissal of a liability claim against a general dentist for alleged standard of care violations. Negotiated numerous favorable settlements for medical practitioners in claims brought by both former patients and the Florida Department of Health. Successfully defended and assisted in negotiating numerous favorable settlements on behalf of national insurance companies in “insurance bad faith” lawsuits brought by former insureds. Provided numerous legal opinions to national insurance companies regarding how to avoid acting in bad faith in handling their respective claims. Obtained a complete denial and dismissal of all claims against a national banking association in an arbitration brought by a former customer whose account was allegedly debited in error. Obtained a complete denial and dismissal of all claims against a national banking association in an arbitration brought by a former customer involving counterfeit currency. Obtained summary judgment in favor of a national banking association in a residential foreclosure lawsuit. Successfully defended and negotiated settlements on behalf of national banking associations in numerous residential foreclosure lawsuits. Prior to joining Fox Rothschild, Seth was an associate in the insurance practice of a large Florida-based law firm. While in law school, he served as a summer associate at a Florida law firm, focusing on commercial litigation and bankruptcy matters.